St Clere’s School is an academy school, situated on the outskirts of Stanford-le-Hope in Thurrock, Essex. 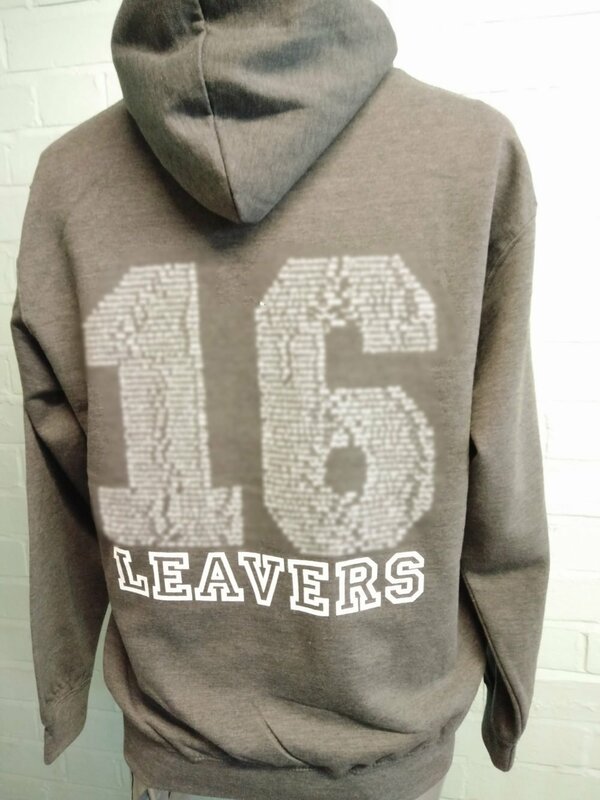 The School’s motto is ‘The Pursuit of Excellence’ and they definitely chose an excellent, classic design for their class of 2016 leavers hoodies! 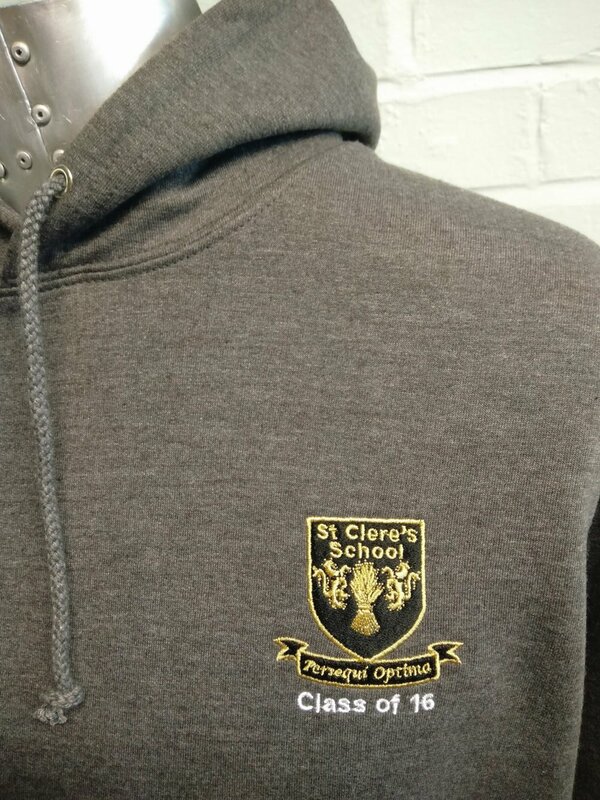 We love the simplicity of the grey leavers hoodie, which complements the stylish black and gold school emblem, which has been embroidered onto the front of each leavers hoodie. 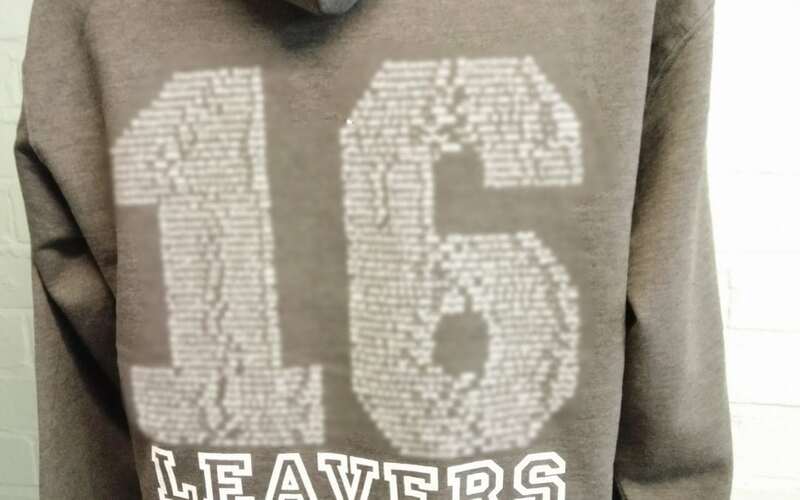 The back of each leavers hoodie features minimal text, with just the word ‘Leavers’ printed beneath the number 16 (representative of the class of 2016), which uses the names of students, to make up its inside and outline. 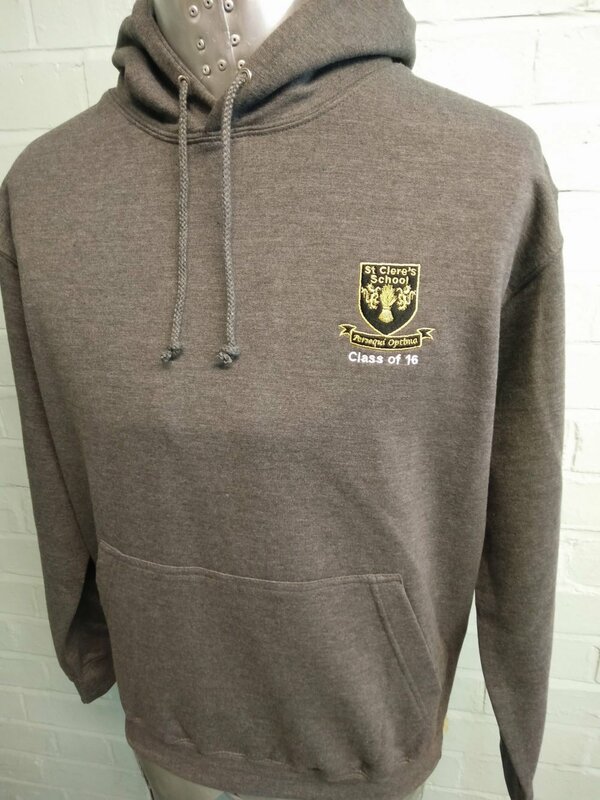 For a simple yet stylish leavers hoodie like this one, take a look at our shop by product page. There are lots of styles and colours to choose from, with as minimalist or elaborate customisation, as you would like.